Shigeki Osawa is making his first promotional appearance at Zst against Shunichi Shimizu on July 17. One time Sengoku Raiden Championship prospect, Shigeki Osawa, will make his debut at Zst on July 17 at Shinjuku Face in Tokyo. According to the promotion’s officials, he will have a Vale Tudo featherweight clash against Shunichi Shimizu for their Battle Hazard 5. Since moving to MMA, Shigeki Osawa complied a 6-1-1 record, with his sole defeat coming from Ronnie Mann in November 2009. 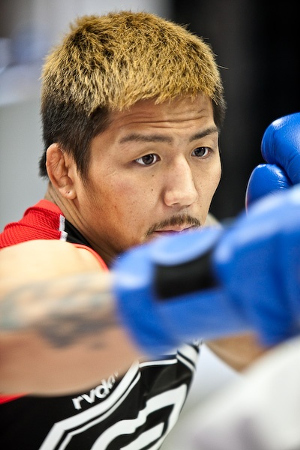 He last competed in November, where his match against Tomonari Kanomata at Pancrase ended to a draw. Also in Zst’s July 17 card is a bantamweight Shoot Boxing match between Toshihiro Shimizu and Tatsuhiro Takashima.